Mold, as you may already know, can cause many respiratory problems such as a dry cough, shortness of breath, asthma, and bronchitis. What you may not know, however, is that untreated mold may also cause depression. Some symptoms of depression include insomnia, reduced ability to focus, feelings of hopelessness, negative thoughts, fatigue, changes in appetite, and feelings of despair. A scientific study has uncovered an apparent link between symptoms of depression and living in a home with untreated mold. 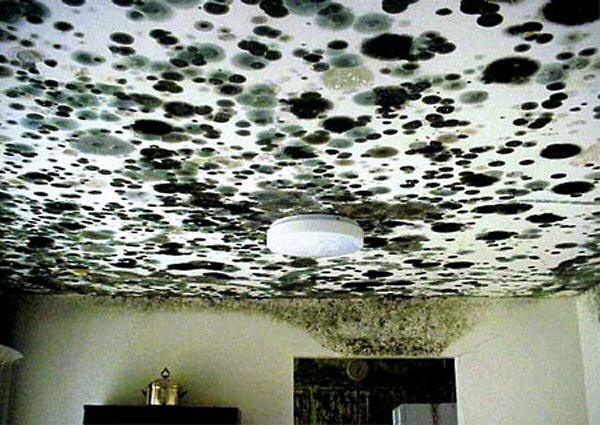 If you live in an environment that has mold, you may suffer from depression due to physical and psychological effects. The physical effects of mold exposure can greatly hinder your ability to function due to illnesses, fatigue, and mold’s direct effects on brain functioning. The physical effects of mold can also contribute to feelings of helplessness and hopelessness. 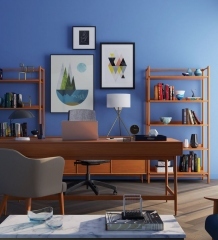 Since a person is incapable of dealing with mold, he or she can be overwhelmed with the feeling of the lack of control over the housing environment: mold can be difficult to treat, and as a result, sickness due to mold may become chronic; in such a case, you may feel overwhelmed and powerless to change the situation. These feelings may in time lead to full-blown depression. While feelings of powerlessness can contribute greatly to depression, the physical effects of mold exposure are quite real. Mold releases toxins called mycotoxins which can negatively affect your nervous system. They can disturb your brain’s balance of substances that regulate your mood, metabolism, and ability to focus. This imbalance can lead to increased symptoms of depression and fatigue. Another adverse effect of mold toxins is brain inflammation leading to a further increase in depressive symptoms including brain fog and a lack of focus. According to Leviticus 14:45 in the Bible, a house overtaken by mold should be destroyed. 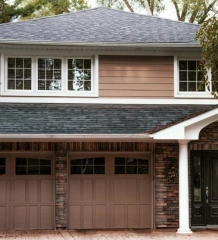 No, we aren’t suggesting you tear down your house, but you can’t ignore the problem, and there are many actions you can take to resolve the mold and your health problems. The first step in ridding your household of mold is to be a detective. You must find out where the mold is coming from. Look for leaks, behind wall borders, and on flooring. Look for any visible mold growth, mildewy odors, discoloration of walls, or peeling paint. Mold can look black, brown, white, green, or orange. You may also use a black light to pinpoint if there is mold growth. When the black light is shined on the area, the area will glow yellow if there is mold. If mold or signs of mold have been found, the next step is to clean up the area. Before cleaning, it is a good idea to wear a face mask so that you don’t breathe the mold. You should wear protective gear for your eyes and exposed skin. To clean, first wipe up any standing water and make sure the area is dry. Then, use apple cider vinegar or a tea tree oil based liquid soap and water to kill and remove any mold that is present. If these measures have been taken and the mold still continues to be a problem, that is the time to get help from a professional trained in mold removal. Mold-related health problems are nothing to play with. If you are having persistent heavy symptoms of mold exposure, such as wheezing, you should see a doctor right away. Early treatment can prevent worse health problems down the line. The author, Helen Marino, works with www.moldbusters.com as their staff writer. MoldBusters are a company that deals with mold removal from homes and office buildings in NYC.